Chichester City are five points clear at the top of the Southern Combination premier after a 3-2 win at home to East Preston. Josh Clack scored twice and Dave Herbert added a third at a chilly Oaklands Park before East preston gave them a scare by fighting back to make it 3-2. That resulted, coupled with a home defeat for Newhaven against Eastbourne Town, stretches City's lead at the top, although the Dockers do have a game in hand. Pagham's visit to Arundel was beaten by the weather, as were the games in divisions one and two involving Selsey, Sidlesham and Bosham. 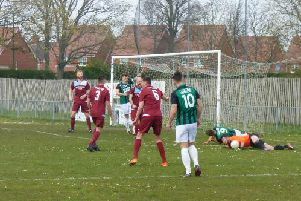 Midhurst's trip to Seaford survived, though, and it finished 3-3. Goals by Gary Norgate, Jake Slater and Liam Dreckmann put the Stags 3-2 up after they had trailed 2-0 but Seaford found an equaliser in the 12th minute of injury time.